The issue of backyard feeding of sulphur crested cockatoos has long been a problem in the Dandenong Ranges. Residents living close by to backyard feeders often experience damage to their houses with cockatoos spending their time chewing verandahs, window frames, mortar, powerlines rather than being out in the wild foraging for food. I was delighted to receive majority support from council for a motion I moved at this week’s council meeting. The motion seeks to publicly exhibit areas the shire wants to prohibit the backyard feeding of sulphur crested cockatoos and seek feedback from the community. The local law will provide a legal framework for council to follow up on backyard feeders who continue to feed cockatoos to the detriment of their surrounding neighbours. The shire will always use our four step approach of educate, ask, tell enforce when enforcing the local law. Our first approach is always to educate people about the ramifications of feeding cockatoos. Residents who are experiencing cockatoo damage reach levels of sheer desperation and create all manner of intricate bird scarers to attempt to keep the cockies away, however sulphur crested cockatoos are highly intelligent birds and generally manage to avoid these elaborate constructions and continue to chew. The costs to repair the damage across the Dandenongs at last count was $0.5 million, the issue is a significant one for locals. The reason cockies chew is to hone their beaks, generally this would happen whilst they are foraging for food in the wild, however when they are fed, there’s no need to forage but there’s still a need for them to hone their beaks, hence the chewing begins. Cr Witlox did not support the motion and said he’d asked his relatives if they thought it was a problem suggesting it was a nanny state law, he could not confirm to council if these people he’d asked lived next door to a cockatoo feeder answering "don't know". I’ll keep you posted with details of how to submit, it’s been quite a journey, but for those poor people who have endured years of cockatoo damage from backyard feeders, the legal framework is getting closer. 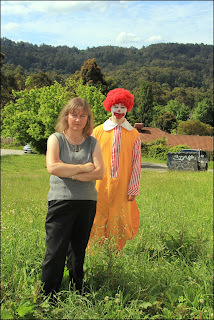 For a history of the cockie issue in the Dandenongs click here. 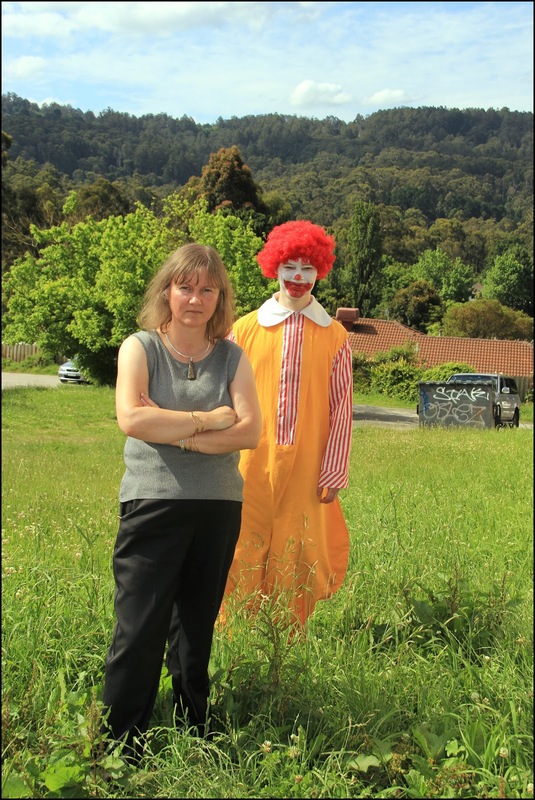 I was disappointed to learn that a deliberate decision was made by organisers of the No Maccas Rally to not invite me to speak at the rally coming up this Saturday. Originally organisers said it was for community only, I completely understand, however I am perplexed that local MPs can speak but I don’t fit the bill of local community. So below is what I would have said if I was invited. Firstly I would like to acknowledge the traditional custodians of the land, the Wurundjeri people, and pay my deep respects to elders past and present. It is terrific to see you all here today and it comes as no surprise to me that the community continues to come out in droves to fight this development in Tecoma. For those who don’t know me, I’m councillor Samantha Dunn, local councillor for the area and I have been living and breathing this issue since McDonalds first met with the shire in February 2011. After following the application through to the council meeting, where I put up a refusal motion, which received unanimous support from councillors, I became part of the community campaign to prepare for the VCAT appeal. Myself, TVAG and community members spent countless hours, meeting week after week to coordinate the efforts at VCAT, an enormous effort it was. It was a dark day for all of us when we got the news on the VCAT decision, to approve this development in Tecoma. What this has highlighted to me more than anything is the flaws in the appeals system. A system where community aspiration doesn’t come first, not even second, a system where the community’s voice continues to be disregarded. It is wrong that this application with its 1,090 objections, 670 community members attending the council meeting, 330 objectors through VCAT fails to even be a consideration of the tribunal when they have the power to make the decision, a decision that will change the township of Tecoma forever. That is the system, but that is not democracy. We’ve heard from the Minister for Planning that numbers at VCAT should matter, that the Minister would support any discussion with VCAT to reform its policy on objector numbers, well I ask what work has been done, when will we see a change, how many other communities need to fight only to have their voices ignored too? Will we see a time when communities are empowered to be an equal part of the appeals process rather than being confronted with the unlevel playing field as it currently is. We all know that this development will add to the traffic chaos on Burwood Highway, we all know that there will be ongoing amenity impacts to those residents in the surrounding area, we all know we are all going to contend with far more rubbish in our local area. 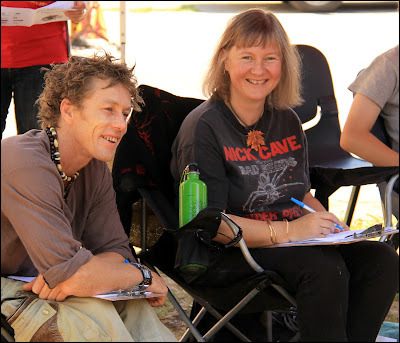 When I put up a refusal motion to council back in 2011 there were 15 different grounds of refusal, the community spent 3 days telling the tribunal hundreds of reasons why this development was not appropriate for this site in Tecoma. There are plenty of reasons why this is a bad outcome for Tecoma and you think so too, that’s why you’re here today. I have asked the Minister for Planning for a meeting, I don’t want him to forget that he committed to meeting with myself, the shire’s strategic planning officers and community members late last year and I’ll be making sure that this meeting doesn’t fall off the radar. I’ll also be encouraging all of you to be part of any council consultations that assist in shaping our towns in the hills, there’s a few coming up, more than ever it is important that your voice be heard and my blog is the best way to keep up to date with upcoming consultations. I congratulate you all on your resolve to protect what’s special to the people in the Dandenong Ranges. Not once have I ever doubted your passion and commitment to our community and our region. It is that resolve that makes our community strong, it’s that resolve that says in no uncertain terms you are part of a close knit community. Not once have you let McDonalds forget you exist and I’m sure you never will. Well done for coming out today, I have no doubt you will continue to make your presence felt and keep fighting the good fight for Tecoma. day and had great fun, the spirit of the day was terrific. 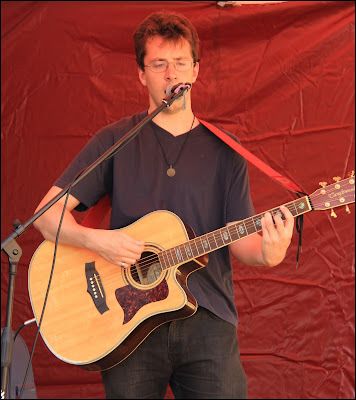 I had a great time over the weekend at the Belgrave Buskers Festival. The event, held for the second time, was organised by the Belgrave Traders Association with the assistance of a Shire of Yarra Ranges community grant. could put their hat down to drum up trade. The traders would like the festival to become known as the festival that marks the last weekend of summer, and at 33 degrees, the weather was certainly summery. 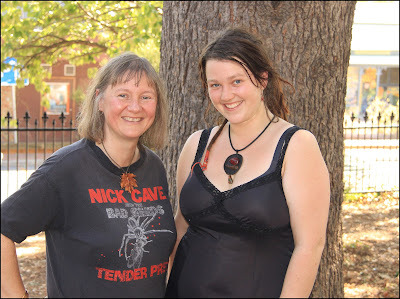 Here I am pictured with Justine Walsh, local spoken word artist. reap great rewards from encouragement. 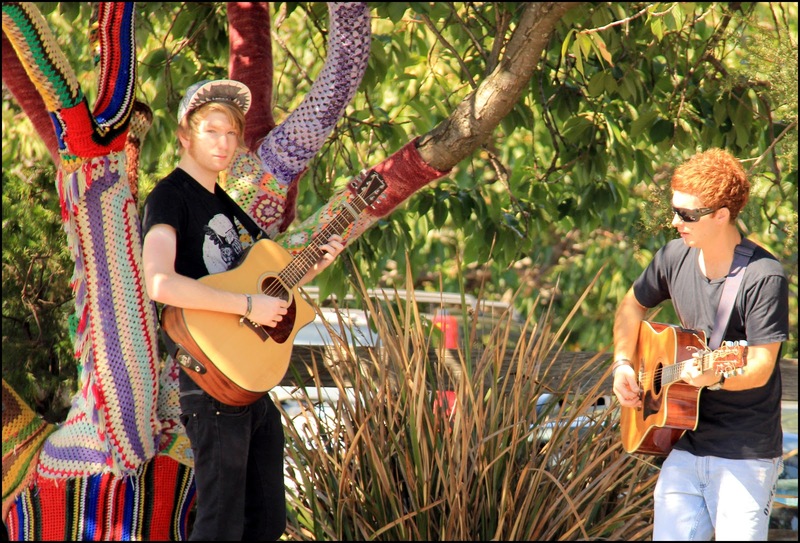 Onlookers were treated to an enormous array of buskers from solos, duos, groups, youth and primary aged performers. second prize in the solo category. 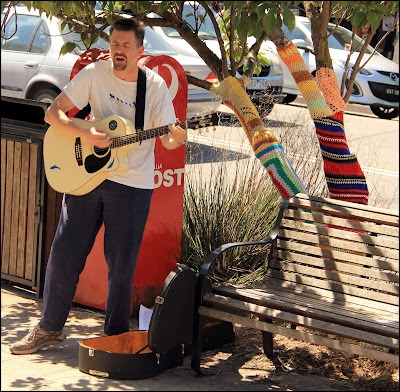 The streets were alive with music and people enjoying the sights and sounds of Belgrave. Community Radio station 3MDR (97.1) provided a live broadcast of the day as well. 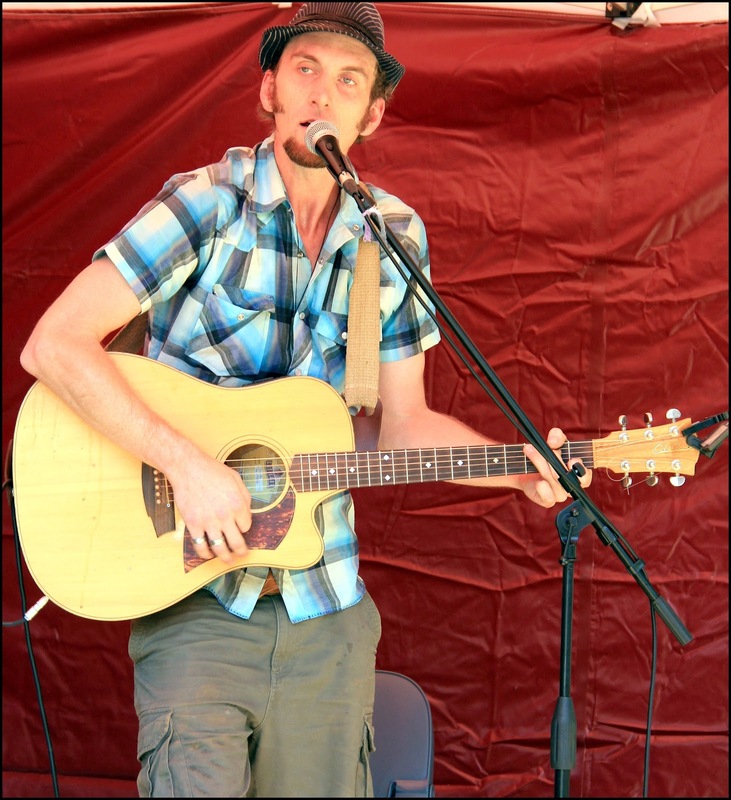 The entertainment continued into the night with Belgrave's live music venues providing performance time for buskers. 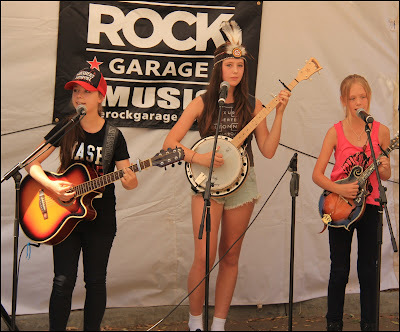 provided another busking spot for aspiring performers. There was drumming in the park and spoken word performance, To the ends of the 'Verse, as well. I'm really pleased to learn that the spoken word event will become a regular monthly event in Belgrave, thanks to Chocolate Sensation for the venue and Justine Walsh for her commitment to see it happen. I must particularly thank Belgrave Trader's Association coordinator, Marina Dennis. Marina did an amazing job pulling the event together, her dedication and passion for the arts in the region is a wonderful asset for the community. young budding performers in our community. a great stage for duos. Congratulations to you all and to organisers for a great day in Belgrave. thanks to Danni from Walk in Wardrobe. Residents from Belgrave and surrounds will have received a survey in the mail for the proposed Belgrave Multi-purpose Hub Development. The survey has been distributed to just under 8,000 residents and I'm keen to hear local views on the proposal. The survey is also available online here. The proposed multi purpose building would be a focal point for the western entry into Belgrave (opposite St Thomas Mores). 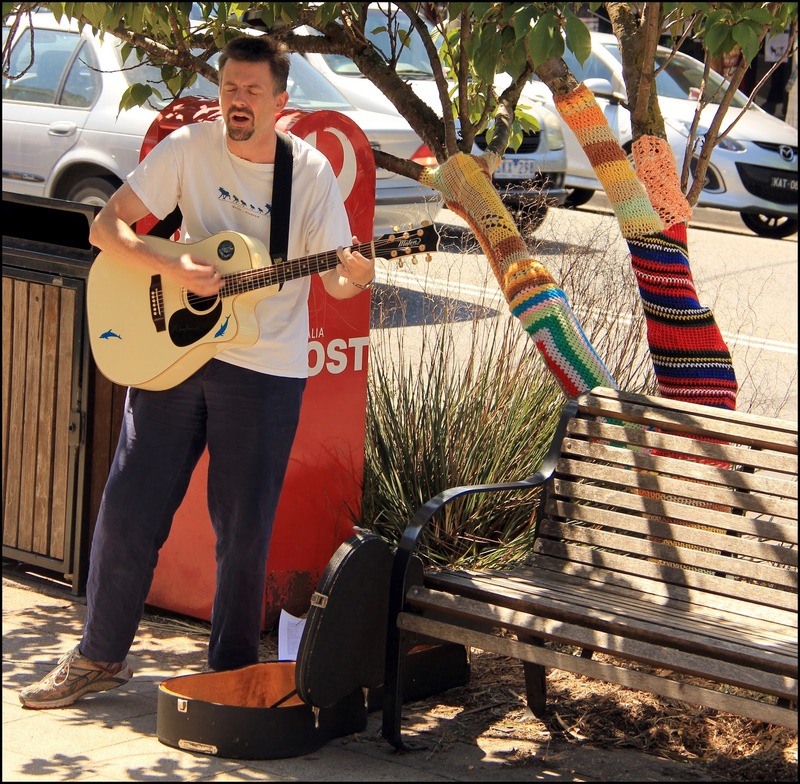 The hub will form part of Council’s Community Hubs strategy to develop high quality, multi-use, accessible community facilities that offer a range of programs and activities. We anticipate the building hosting a whole range of services for the Belgrave and hills community which are currently being run at a variety of locations including the Tin Shed, Dandenong Ranges Emergency Relief, Youth Services and Inspiro buildings. A hub will bring everything together in the one place making it much easier for people to access the services they need. Plans include community meeting rooms which can be hired out by individuals and groups. Outside there will be a community garden and an outdoor art space in a community park setting that reflects the Dandenong Ranges environment. If you'd like to know more you can talk to council about the plans at two local drop in sessions being held next week. Council Staff will be available outside the Commonwealth Bank on Burwood Highway on Thursday 28 February from 3pm until 5pm. They will also be at the Safeway Supermarket on Burwood Hwy on Friday 1 March from 10am until 12pm. The two drop in dates will just be part of our consultation process along with the survey. Please note due date to return the survey is Friday 15 March. Community hubs have already been constructed at Yarra Junction, Healesville and Monbulk with plans underway for a hub in conjunction with Japara Community House in Durham Rd Kilsyth and Kimberley Drive, Chirnside Park. Yarra Ranges Council and Inspiro (former Ranges Community Health) are conducting the feasibility study on developing a multi-purpose building in Belgrave. mid March all going well, can't wait to give it a go! 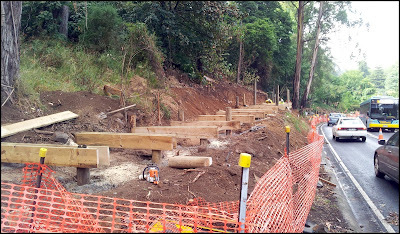 It’s terrific to see the start of the “missing link”, the piece of path missing between Belgrave and Kallista. It’s an important part of the footpath network as it means pedestrians can now travel back and forth on the same side of the road without having to negotiate two crossings on the very busy Monbulk Rd. A long while in the making, it has been a challenging project (as many are in the Lyster Ward). The challenging topography, environmental considerations and pedestrian safety and friendliness meant that a lot of detail went in to the design and construction of this footpath. The footings have been excavated in a way that protects the root systems of the mountain ash trees that follow the footpath whilst the boardwalk construction means there is far less impact on the environment and avoids tree removal. I look forward to having a stroll myself and seeing more of these vital links in our footpath network come to fruition. At this week’s council meeting we had to consider a request from the Minister for Planning via the Emerald Tourist Railway Board (ETRB), the board that runs Puffing Billy. The request was to undertake a planning scheme amendment that would see any building and works associated with the ‘normal’ operations of the railway be exempt from planning permits without the need for public consultation. The issue came about from the most recent construction by Puffing Billy out at the Menzies Creek Railway Station, an enormous zincalume shed, built without any consultation with the neighbours or with a planning permit. The planning scheme amendment sought by ETRB would mean that no advertising or public consultation would be required to change the planning scheme, it would also mean that the current compliance action and need for a planning permit would cease out at Menzies Creek. The issue out at Menzies Creek highlights how important public consultation is. The newly constructed shed is reflective silver in colour, far greater in size than anything in the region and there’s no vegetation buffer or screen planting, a resident in the rail corridor would never be allowed to build in that way and many local residents complained to council about the construction. I had concerns about allowing the amendment without proper process. I think it’s important that the community, particularly those who live along the Puffing Billy corridor have a say about what happens in the corridor and the station precincts. I was concerned about changing the planning scheme first, then consulting residents second. The community who lives along the line understands the importance of the landscape and the environment, I believe maintaining that corridor is a shared responsibility and it is as much up to Puffing Billy to consult residents and go through proper process as it is for residents to apply to Puffing Billy when they seek changes. Mr John Robinson, CEO of Puffing Billy, presented to council. He advised that Puffing Billy were developing a strategic plan that they would be sharing with council and the community in the future, that the organisation wanted to be transparent and consult with the community over the plan. He said that the railway was vigorously protective of the environment. It was my view that locals are equally vigorously protective of the environment and that’s why the amenity of the corridor is a shared responsibility. I thought that no advertising was inappropriate and usurped good process. I congratulated Puffing Billy on the development of a masterplan as a great mechanism to get community and council input to inform any changes to the planning scheme and the direction of the railway into the future. 1. It is Council’s preferred approach to retain the current planning provisions affecting the land managed by the Emerald Tourist Railway Board and that any changes to permit exemptions should be undertaken as part of a detailed master planning exercise that involves public consultation. a. The definition of normal operations is clarified to determine the exact location and area of land where the proposed exemption would apply. b. Clarify the meaning of the interpretation centre, cafe/kiosk, gift/souvenir shop and define the extent of the station precinct/precincts, or remove them from the proposed exemption altogether. c. Either through a permit threshold trigger or an alternative mechanism ensure that any building constructed in the railway corridor is designed appropriately to minimise environmental, amenity and visual impacts. d. In supporting the interim provisions, Council seeks assurance from the Minister that the ETRB will seek community input on a detailed master plan and proposed planning framework for the whole Puffing Billy railway corridor within 12 months of approval of the interim provisions. I’m delighted to be back, as the returning President of the VLGA Board, re-elected last week. The VLGA Board shows a strong balance of new energy and ideas, and continuity, with the election of six new members and two returning members. The Board contains strong skills in local governance, community involvement, and policy development, along with media and legal experience. Between us we represent urban and regional Victoria and bring a wide range of perspectives and experience from our many years’ involvement in local government. The VLGA’s members have elected a dedicated and enthusiastic group of people who demonstrate their passion daily for connecting communities, strengthening democracy and ensuring the voice of the community is heard. With four of the eight elected being women, and a good mix of age groups and backgrounds, the Board is diverse which will ensure robust debate and thoughtful consideration is given to VLGA activities. 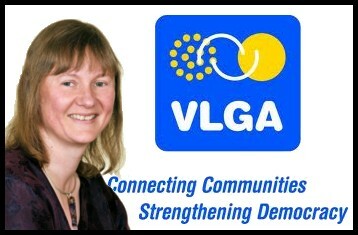 As immediate past President, former Treasurer and a member of the VLGA executive for the past four years, I believe we have strengthened our voice on behalf of community and councils for greater democracy in action, undertaken strong advocacy on social initiatives and delivered a financially sound position. If you want to know more about the newly elected VLGA board you can check out their profiles here. This week’s council meeting had to consider an application for what’s known as the ‘sawmill site’ in Healesville. The application included a service station, takeaway food premises, 2 convenience restaurants, a car wash, and epicurean centre and a hotel with associated storage. A last minute surprise was the electronic copy of landscape plans which revealed McDonalds and Red Rooster as part of the landscape planning considerations. I questioned the applicant, Mr Joseph Alesci, on the matter who said there were no binding agreements in place and it was irrelevant who the end user was. He was also concerned that the decision was a ‘forgone conclusion’ and that the planners report was ‘biased’. I also asked Mr Alesci if he was aware that the Victoria Police had objected to the proposal and as such council could not approve the application in its current form. I was pleased to be able to second the motion to refuse the application. In speaking to the item I said that the application was not respectful with regard to the native vegetation on site, with no consideration of remnant vegetation which contributes to the amenity and local landscape. I did not think the application was respectful of the significant environment and landscape values of the region either, Healesville being an important tourism destination in our shire. The application was not respectful of urban design, presenting an ugly eyesore and pedestrian design not appropriate for a significant gateway site. I also didn’t think the application was respectful of cultural identity and neighbourhood character, clearly an issue in a township that plays a key part of the Yarra Valley. 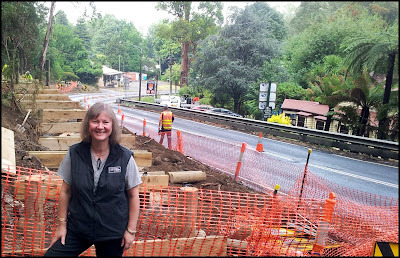 I said that council had developed a Design and Development Overlay (DDO) because we recognised what a critical and important this site this was at the gateway to Healesville. Some of the key objectives of the DDO include high quality design, I didn’t think the design presented to us in this application met this objective. I didn’t think the design contributed to the region as a major scenic and tourist route in Yarra Ranges. I did not think the design was visually unobtrusive as prescribed as part of our DDO nor did the design enhance the streetscape, landscape and environmental characteristics of the area. I answering the views put forward by the applicant I said that the council meeting was not the time to horse trade over what was in and what was out of the application. I assured the meeting that council came to the decision making table with an open mind and the matter was not a foregone conclusion. I said that the example of the alternative of ‘littering the site with factories’ made by the applicant, a bad planning outcome did not justify this application, another bad planning outcome. I also talked about the importance of community aspiration, the importance of being transparent about the intention for the site as that has a bearing on issues of intensity of use, amenity and traffic considerations. I thought the application would be a dreadful outcome for this significant gateway site in Healesville. I’m pleased to say that the refusal of the application was supported unanimously by councillors. nb: council is currently undertaking a Healesville Structure Planning process – what’s that you ask? It’s an opportunity for the community to think about the future shape of their town, it covers off on things like land use and built form, movement networks, public spaces and infrastructure provision. Why is this important on this issue? Because the current zoning of this site (Industrial 3) came up as a key issue and a structure planning process looks at land zoning issues and whether the current zonings are still appropriate. As we know towns change over time and what was appropriate 20 years ago might not be appropriate now. 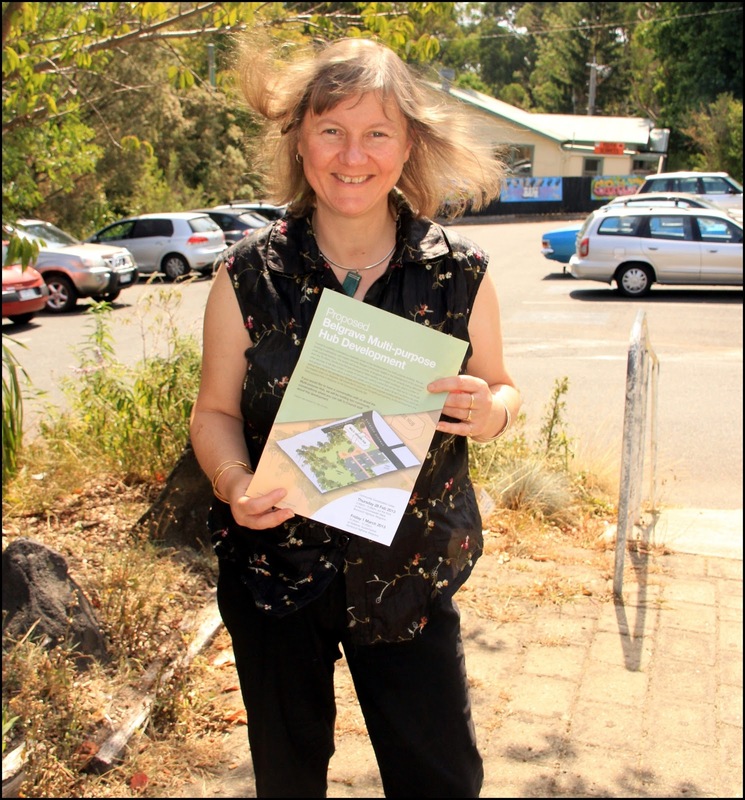 If you’d like to find out more click here and be part of consultation on the Healesville Structure Plan. At last night’s council meeting I moved a rescission motion in an attempt to convince councillors to maintain council’s support of the Ethical Paper Pledge. I was concerned that the complexities of the issue weren’t fully understood by my colleagues at our meeting of 11 December, 2012 where councillors voted to unsign the pledge and wanted an opportunity to present facts on the issue to my colleagues. Yarra Ranges past Young Environmental Achiever of the Year, Jordan Crook, presented to council on the motion. He talked about the facts and the science and urged councillors to reinstate the support of the pledge. He spoke passionately about the science that shows clearfelling is not sustainable and how important it was to support workers and wildlife. He ended his presentation by urging councillors to “be leaders, don’t be led”. In speaking to the rescission motion I talked about the significant role local government has to play as advocates, such an important role, that it is enshrined in the Local Government Act. I went on to talk about the expectation that we show leadership and signing the pledge is a public way to demonstrate that. I reiterated that when council first supported the pledge we received 56 emails in support in 2 days, unprecedented for local government, who generally don’t receive many letters of support. Leadership is about doing what’s right and it was my view that the campaign around the controversy of signing the pledge was orchestrated by only a handful people. I also posed the question, how many jobs have been lost because we signed the pledge? None. I reminded councillors of our Vision, how strong environmental values featured in the vision because it’s important to our community. In relation to VicForests I highlighted to councillors that it is my understanding that VicForests don’t want to move to Yarra Ranges and asked councillors what efforts they’d undertaken to ascertain if VicForests wanted to move. The VicForests move would see 30 city based people relocated, it’s not about new job creation, it’s about making those city based people commute out to Yarra Ranges. As a ‘government business enterprise’ it is the VicForests Board who makes decisions about where they move, not the Minister, they are not a government department, they are supposed to be autonomous from government. I highlighted my concerns about state government interference, referring to the letter written to council by Minister Walsh. Council’s relationship is not in jeopardy from this. The community wants local government to make decisions in their own right, not with pressure from state government. It’s not necessary to play this political game of football and kowtowing to state government does not strengthen our relationship. In relation to the last part of my argument around Forest Stewardship Council certification, I advised councillors that Australian Paper, makers of Reflex, lost their FSC certification because they source woodchip from high conservation forest, they log high conservation forest and I looked forward to a time when Australian made FSC certified paper will be available. Cr Jason Callanan in speaking against the motion said he hasn’t changed his view and hasn’t seen any resounding facts to change his mind. Cr Len Cox in speaking for the motion talked about the extraordinary overreaction from one small element of the community and state government over signing the Ethical Paper Pledge. He highlighted the ongoing losses sustained by VicForests with the bill footed by taxpayers. He talked about the forest before and after clearfelling and the importance of tourism as one of our biggest employers. He also talked about the importance of council being an independent thinker. Cr Terry Avery spoke in support of the motion. He highlighted we are charged with protecting and enhancing the environment and unsigning the pledge made a mockery of that. Cr Andy Witlox spoke against the motion. He said that he will continue to support local industry, a small industry with a long history, and wont boycott but support this local product. Cr Fiona McAllister spoke against the motion, she reiterated she’d made her views clear in a letter to the paper, talked about a degree of confusion, and how the issue is dividing “her” community. 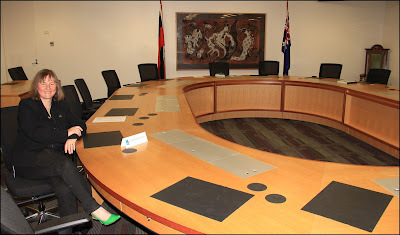 She assured the meeting she was committed to looking after endangered species, however thought it was only appropriate for individuals and non government organisations to sign the pledge. She said she was astounded by valuable council time being used on this issue. Cr Maria McCarthy said she supported Cr McAllister’s comments. Cr Noel Cliff spoke in support of the motion. He challenged Cr McAllister’s comments in relation to taking up “valuable council time” and said the importance of the issue meant we should take as much time as we need. He highlighted how critical the environment is, we live in it and it sustains us. If it takes up twice as much time to debate then he’s happy to take the time and we should take the time. He talked about children and their future and how he thought people with children would have thought looking after the environment was one of the most important issues into the future. He highlighted the dire state of the Leadbeaters Possum which we are succeeding in wiping off the planet. He’s not against the timber industry but against pulping and once again raised the issue of the loss of taxpayers’ dollars by VicForests and how important tourism is for our local economy. In summing up I raised the issue of political agendas as it has been a recurrent theme in local media and social networking sites that the pledge has been a political and personal agenda of mine. The original vote to sign the pledge was 8 councillors for and 1 against. Those councillors are from all persuasions, they’re certainly not Greens councillors. I posed the question, If I’m running a personal or political agenda then why do I keep getting re-elected, an election is a good test of whether you are representing the community and as the councillor with the highest primary vote at the last election I’m clearly not running personal or political agendas. What we have seen is a well orchestrated campaign by the Liberal/National party run through our local media and social networking sites. At that point I referred to slides that had been presented by Cr McCarthy at the last meeting with some additional commentary added by me. I reminded Cr Callanan of his election commitments to support a ‘great and beautiful environment’, I reminded Cr Wiltox of his statements about “protecting our environment”. I held up a copy of The Age – A state of extinction. Our Leadbeaters Possum is at a critical point, before long it will be extinct. It is our children, and Jordan (our submitter) who will be dealing with this mess, I urged councillors to be leaders, our community expects nothing less. The motion was lost 4 votes for, 5 votes against. Against: Crs Fiona McAllister, Jason Callanan, Andy Witlox, Maria McCarthy and Jim Child. Yarra Ranges Council has undertaken a whole-of-community survey because we want to know what you think your rates should be spent on and what council's priorities should be. Based on those results a supplementary survey has been prepared on a ward by ward basis. It would be great for you to participate, it's important to put forward your views. Below are the links for each ward in Yarra Ranges, click on yours and follow the questions. The survey takes between 5 and 10 minutes.